Discussion in 'Stock 1995 - 2001 Explorers' started by Nicholasv, March 14, 2014.
together would it be able to run till I have the money to fix what ever is wrong? Could you please resize the picture? That is the timing chain tension guide. You'll find a lot of discussion on the forum about it. And the thin metal part is part of that also? Metal part looks like one of the leaves from the primary chain tensioner. i thnkfully do not even own a 4.0 and I know that is bad!!! Yep, that's what's left of the chain guide. Engine has to come out to fix that. 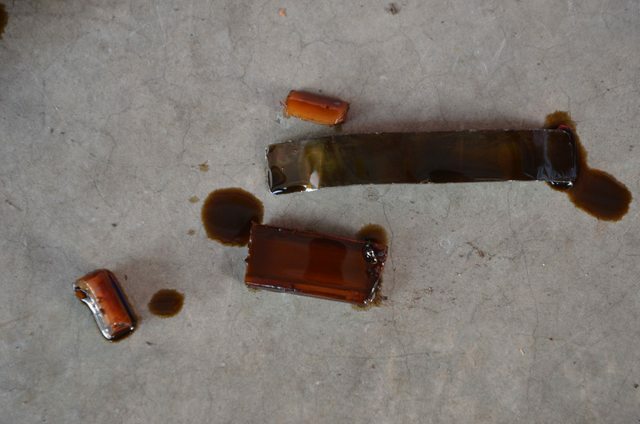 Be sure to get all the bits out of the oil pickup tube so that it doesn't starve the engine. You can thank Ford for saving $0.50 by making that chain guide out of plastic. Really stupid design.